1. 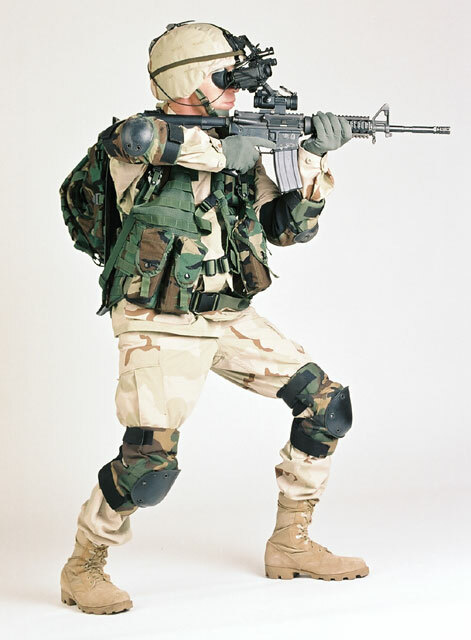 Today's US Army Soldier in Tri-Color Desert Camo. 2. 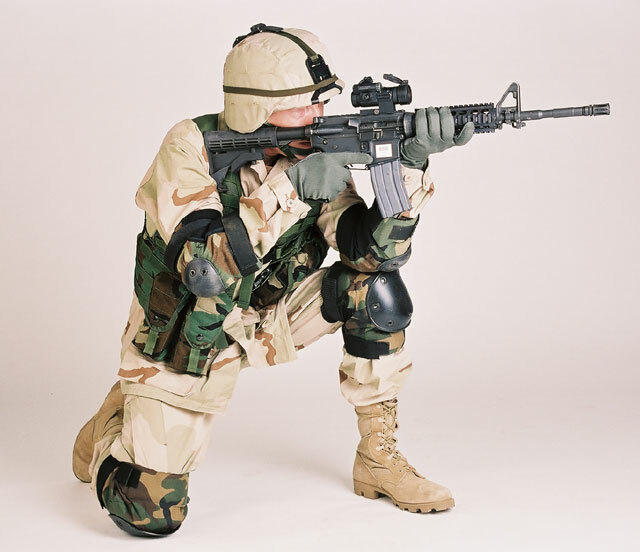 Today's US Army Soldier in Tri-Color Desert Camo (2). 3. 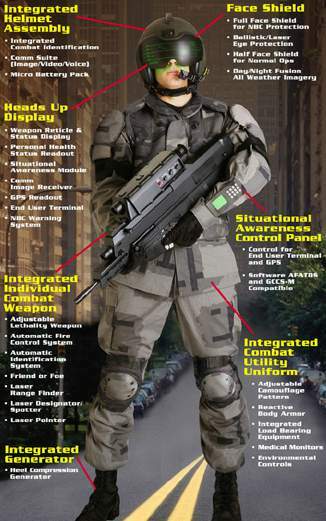 One of the many concepts of Objective Force Warrior, due to enter service by 2015. 4. 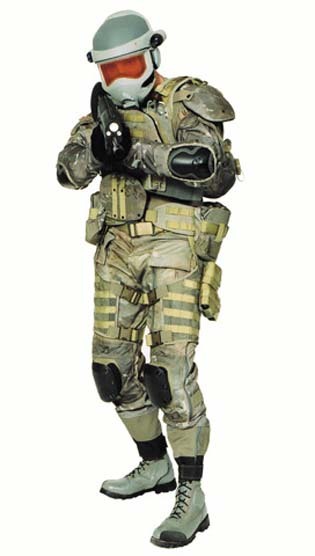 Another concept of Objective Force Warrior. 5. Yet another build of Objective Force Warrior. 6. 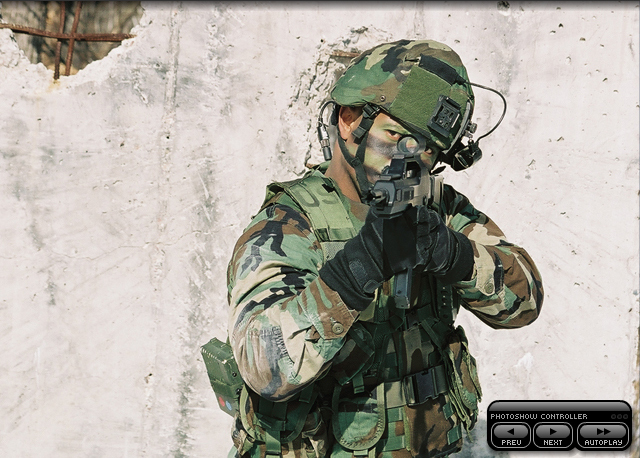 A soldier at Fort Benning aims his M4 Carbine during a training exercise with Land Warrior. 7. Another soldier at Fort Benning uses his rifle to peer over a ledge. 8. 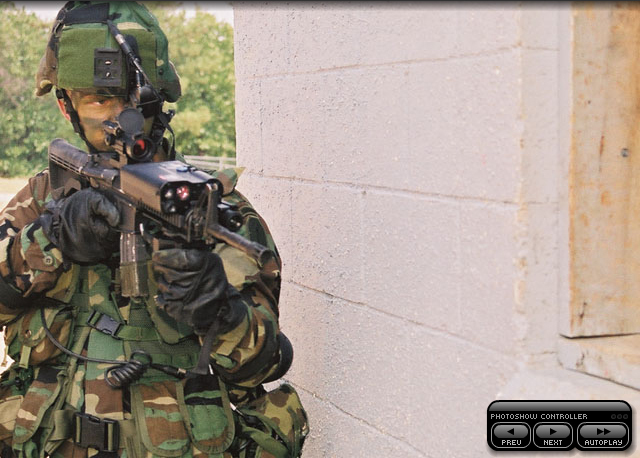 Yet another soldier at Fort Benning uses his rifle to look around a corner. 9. 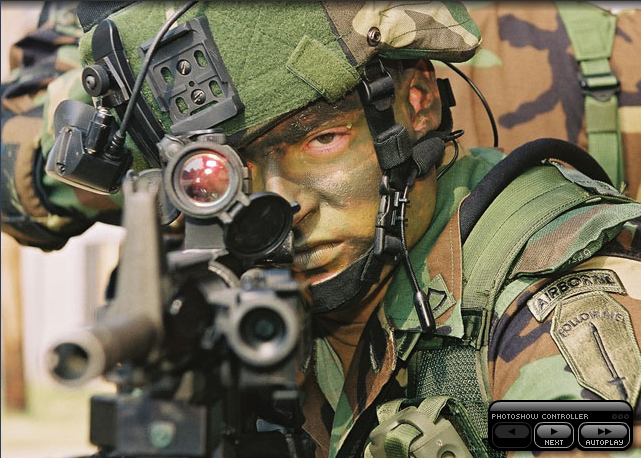 A soldier at Fort Benning creeps warily towards a window. 10. 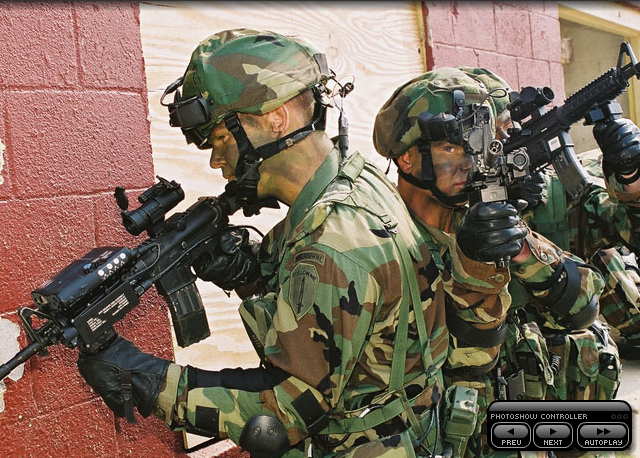 A group of soldiers at Fort Benning prepare to enter a building during a MOUT exercise. 11. 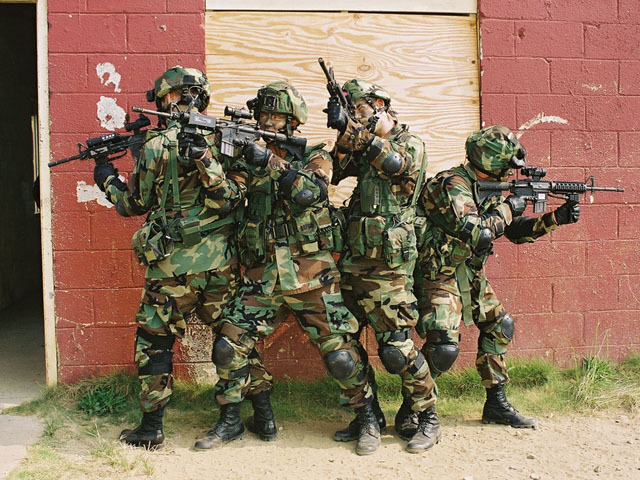 The same group of soldiers. 12. 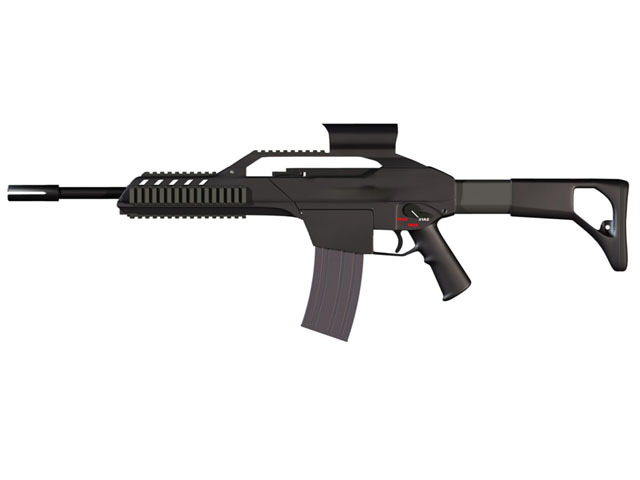 A 3D render of the XM8 rifle. 13. 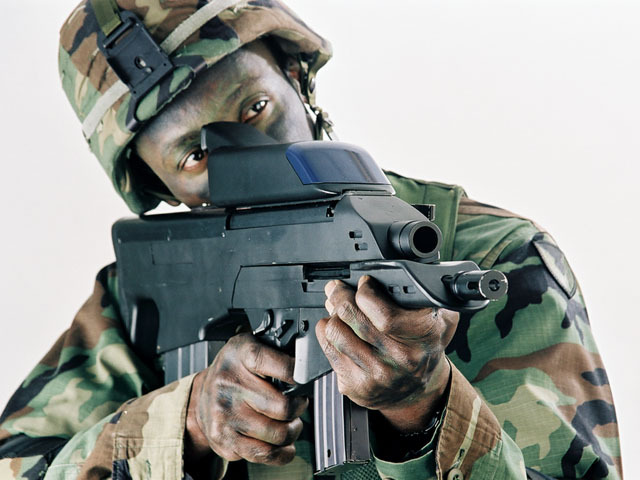 A soldier at Fort Benning aims his XM8 rifle. 14. 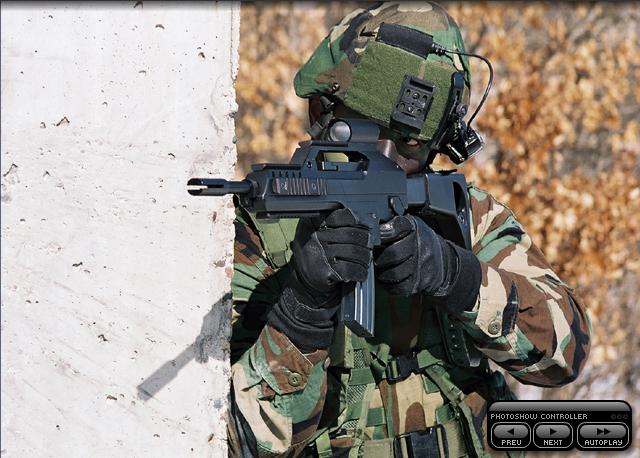 The same soldier aims his XM8 around a corner. 15. 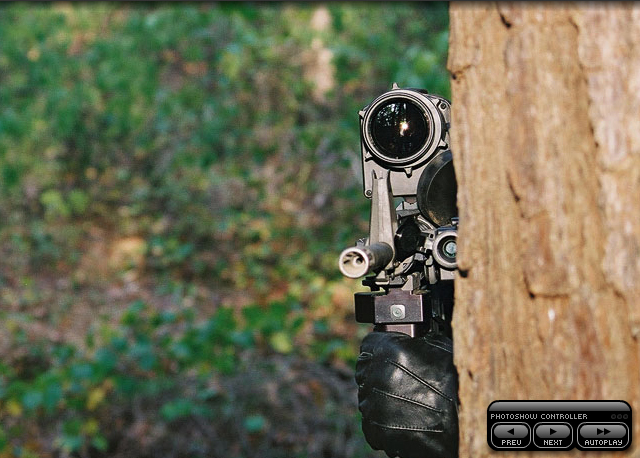 A soldier at Fort Benning uses his XM29 rifle to look around a corner. 16. An up-close look at the XM29. 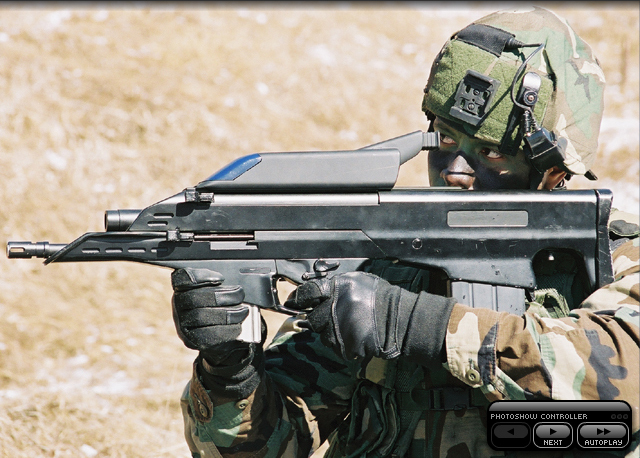 The weapon can fire both 5.56mm kinetic rounds and distance-programmable 20mm rounds in several configurations. 17. 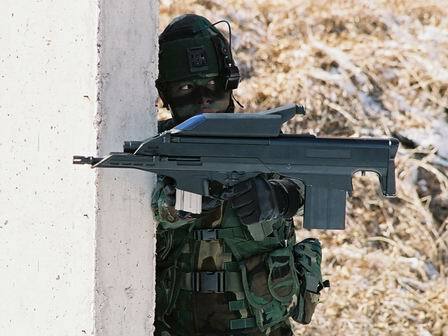 A soldier aims his XM29. 18. A 3D render of the XM29 rifle. 19. 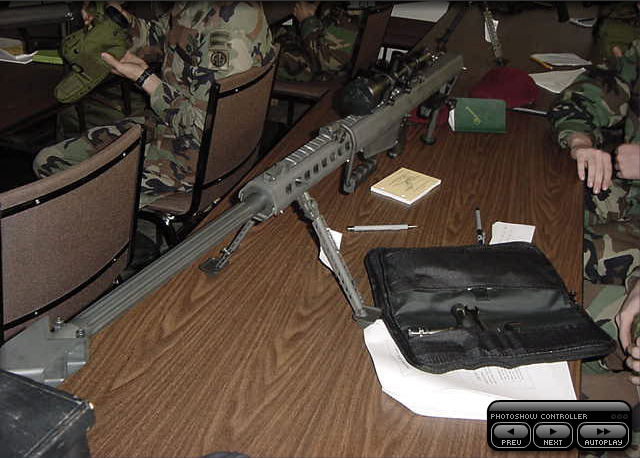 The XM107 sniper rifle. 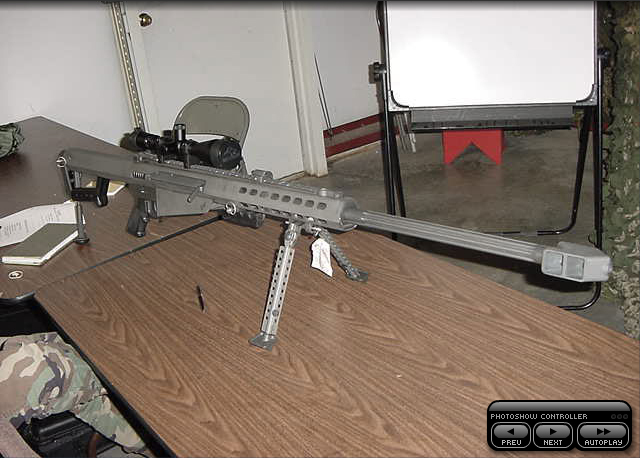 Based on the Barrett M82, it fires 25mm rounds in several configurations. 20. 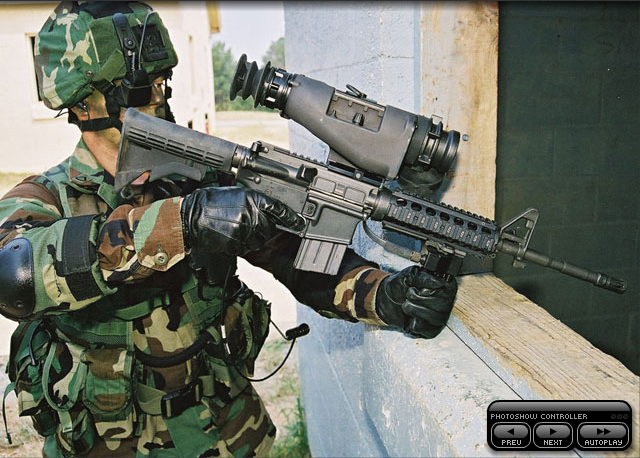 Another shot of the XM107.